The Fund for Research and Policy Advancement was created to fund basic research, patient registry programs, analytical and statistical review of registry data and EHR quality data for use in publishing position statements on current or future hyperbaric oxygen therapy indications and similar projects. Within the fund, there are three avenues in which contributions can be made: Research, Public Policy, and Scientific Writing. 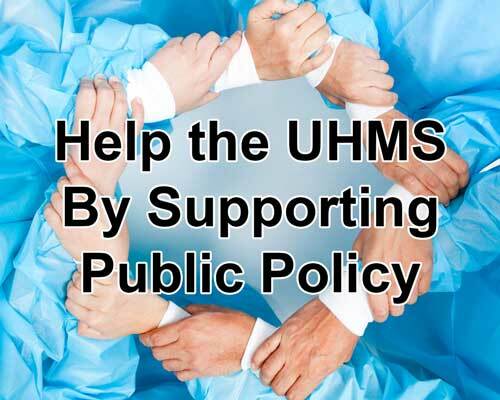 Donations for Public Policy are used specifically for funding efforts related to maintaining the viability of hyperbaric medicine for providers, including physicians and hospitals.